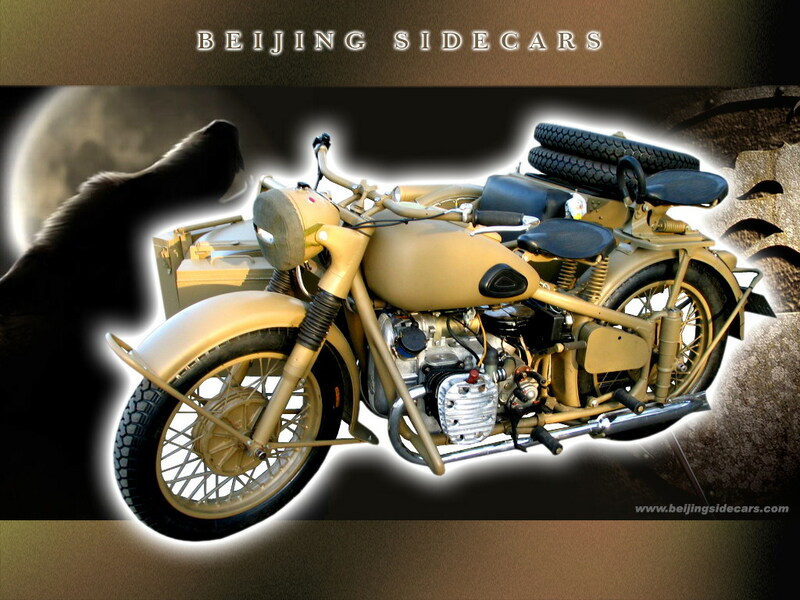 WWII R75 restorations: A great WWII re-enactor special - these bikes are rough and tough, and with our restorations they made to be sturdy work horse. 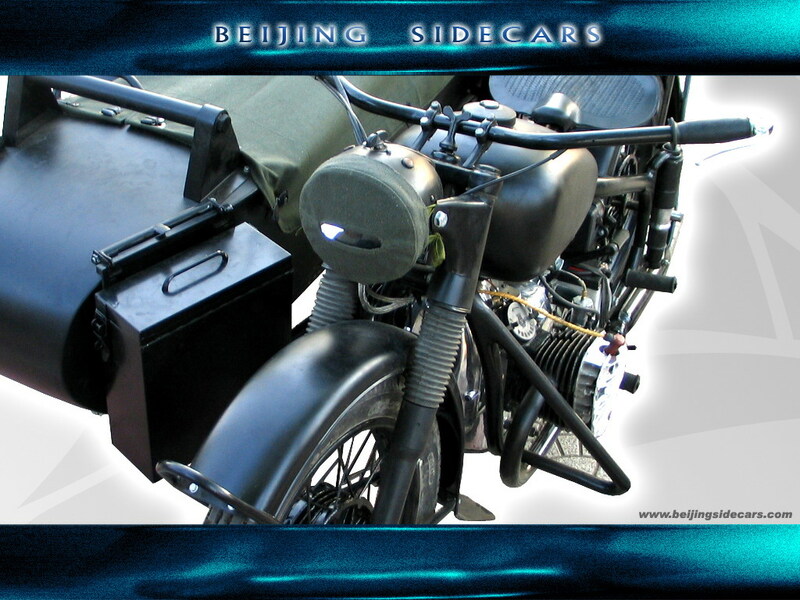 Our standard restorations include: pannier box, tool box gas tank, frame tool box, engine guard, machine gun mount, imported seals, imported bearings, tapered steering bearings, good motoroil, aluminum rims, powder coating, customs seat covers, LED lights, and most importantly we test ride it before you get it. 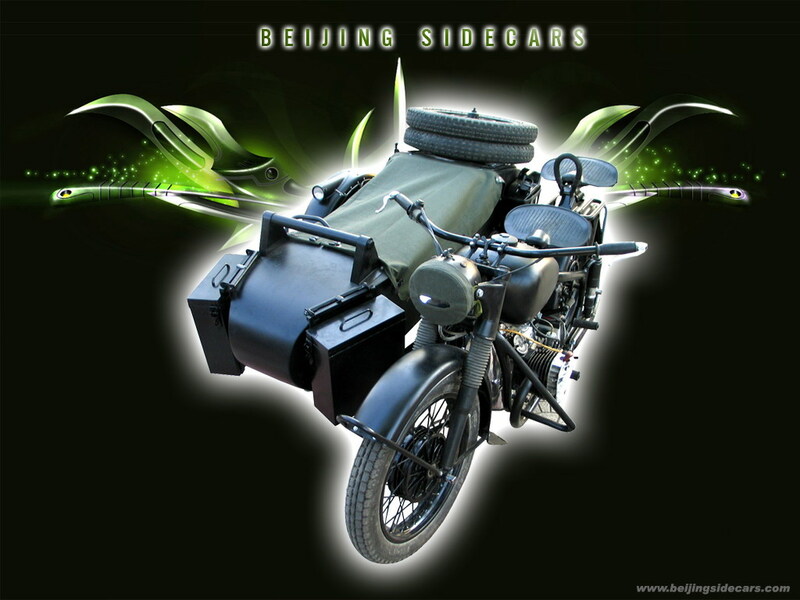 Check out our bikes, either in 24hp or 32hp these Chang Jiang 750 sidecar bikes will definitely turn heads and with our quality restoration you are sure to have a reliable ride. 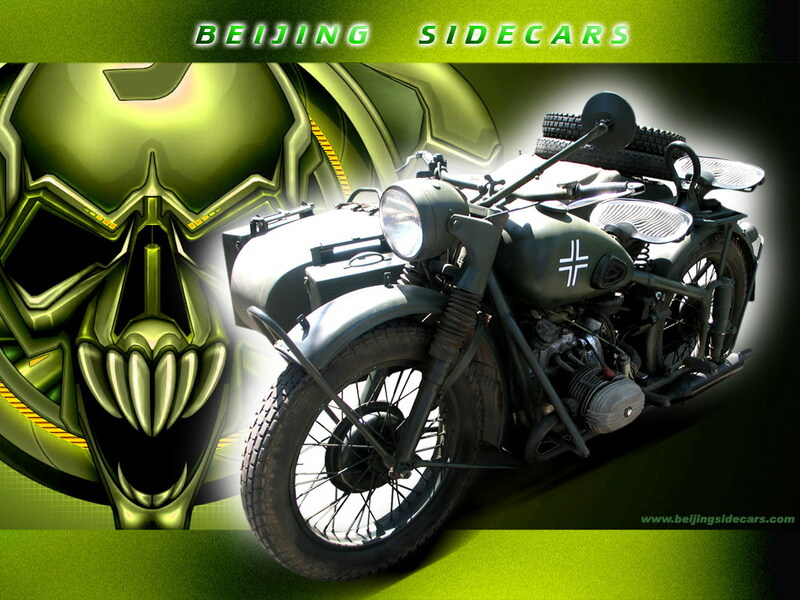 Some really cool desktop wallpaper picture and back grounds and for you to download. 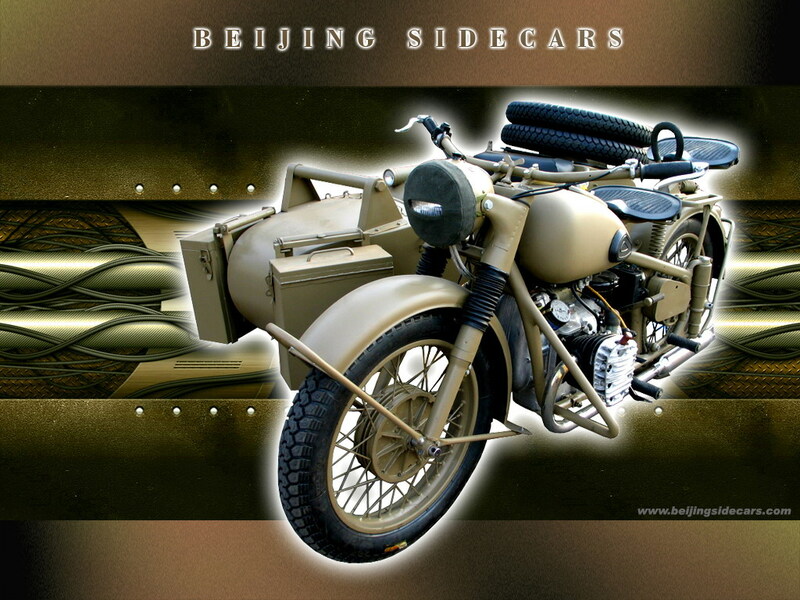 Wonder why everyone uses brick wall backgrounds or maybe every wonder why it all kind of looks the same. 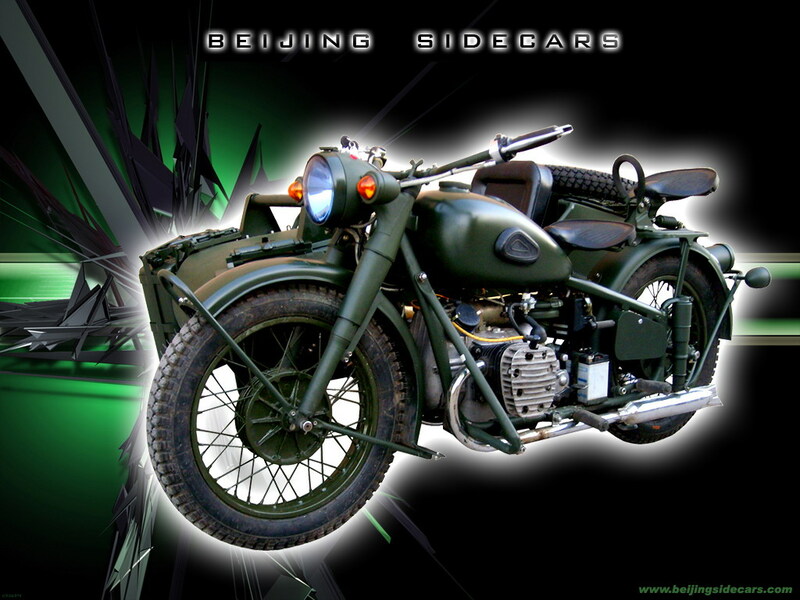 I hope you enjoy these desktop wallpapers. 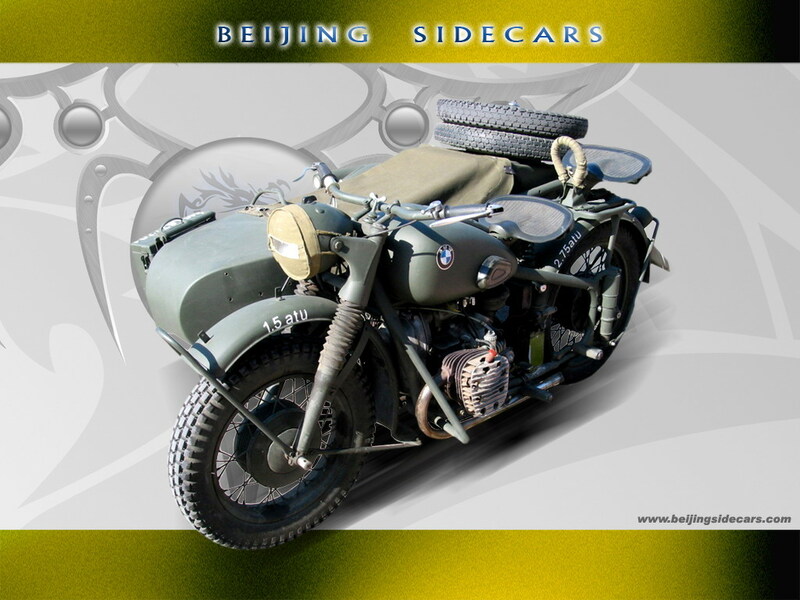 These are WWII style restorations based on the BMW R75. 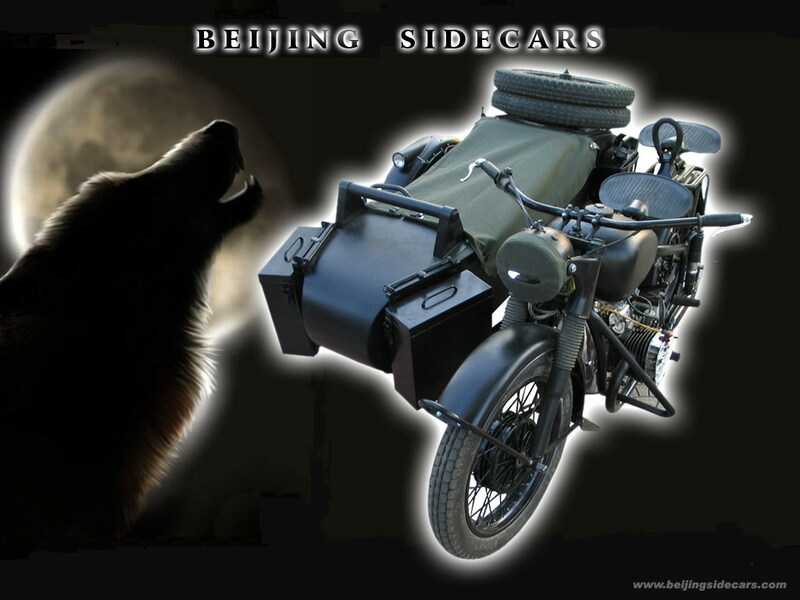 Please note: Source files for these pictures are from Big Bill and thanks for his help now everyone can have some really cool pictures to save and use as desktop wallpapers backgrounds on their screens. 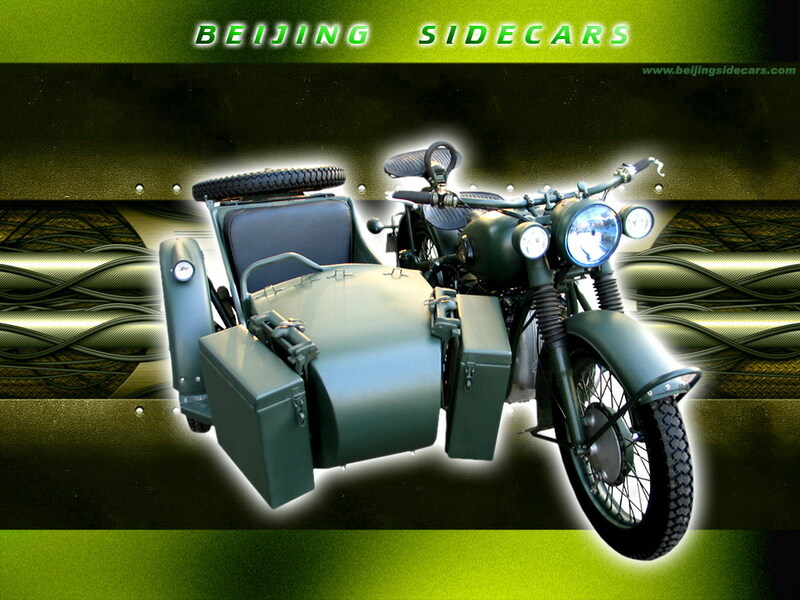 Send me a picture of the sidecar you like and I will reply you with a detailed quotation. 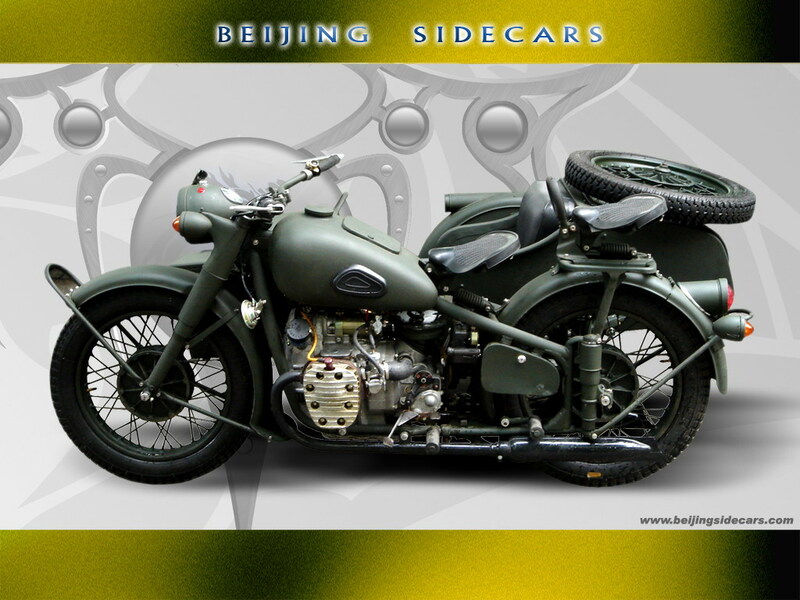 My restorations are the best, we only use the highest quality parts. 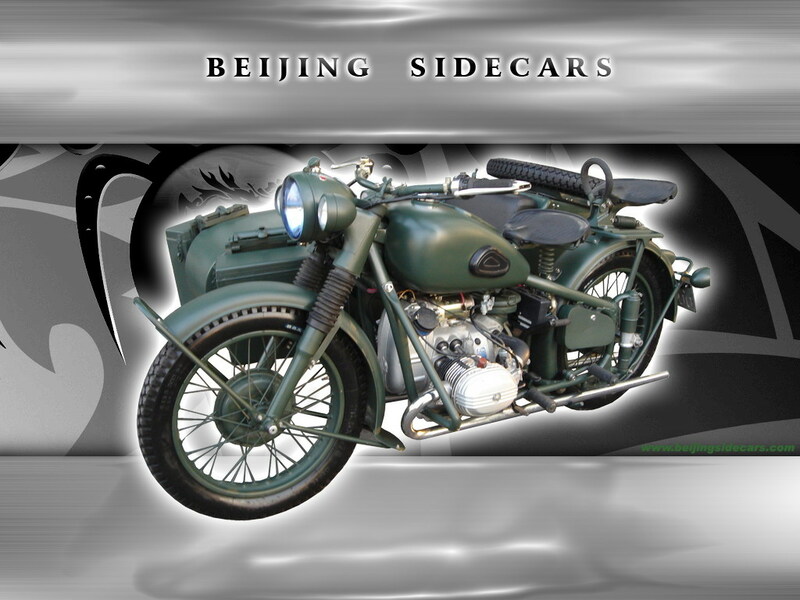 Check out the Fire Dragons in Chinese google and you will see our history in China's motorcycle community. 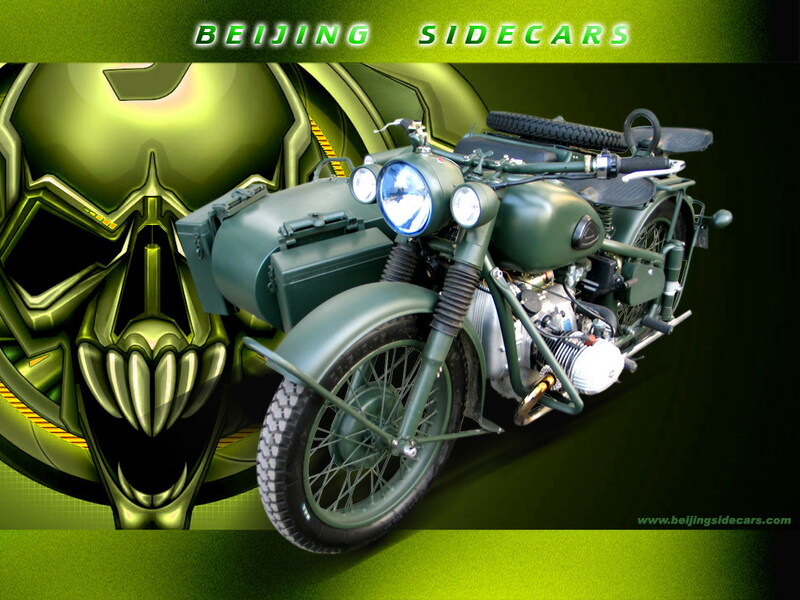 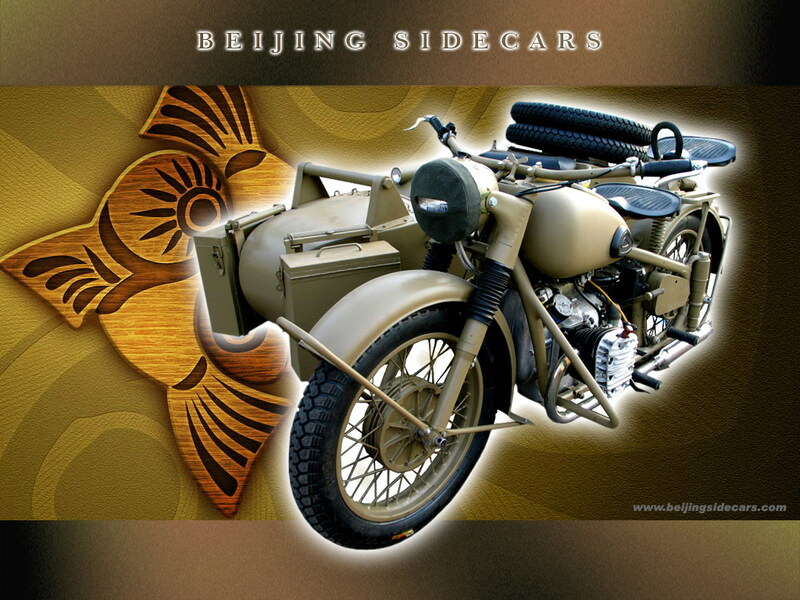 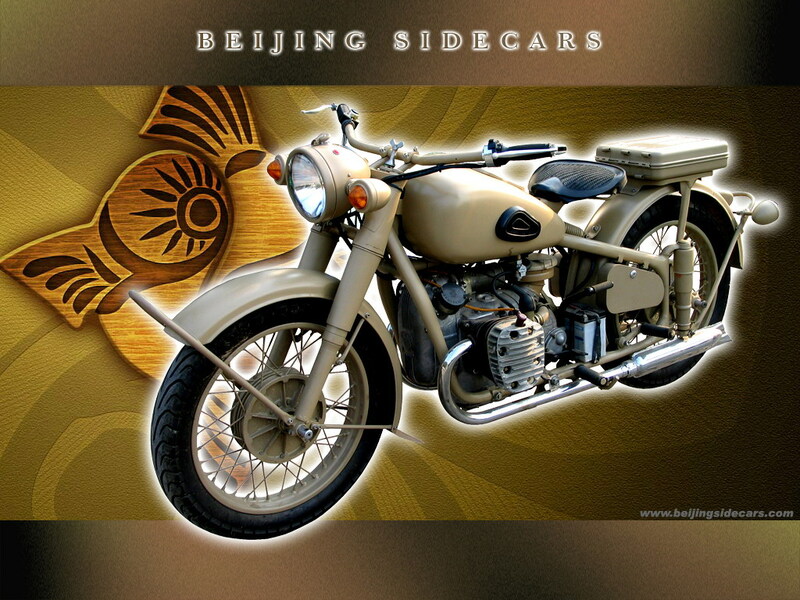 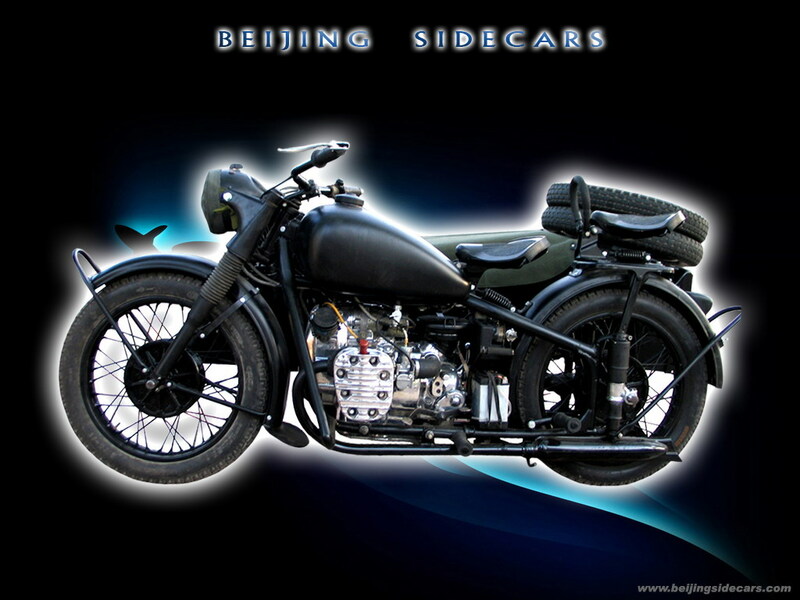 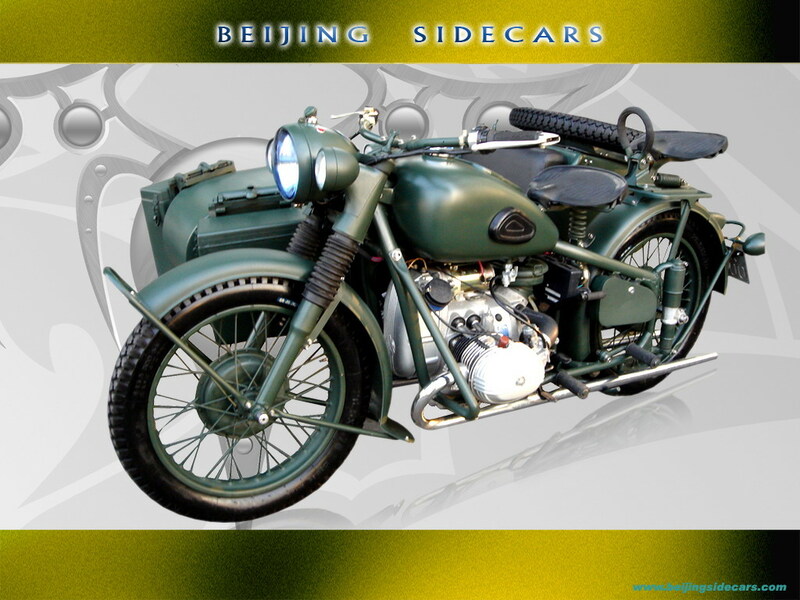 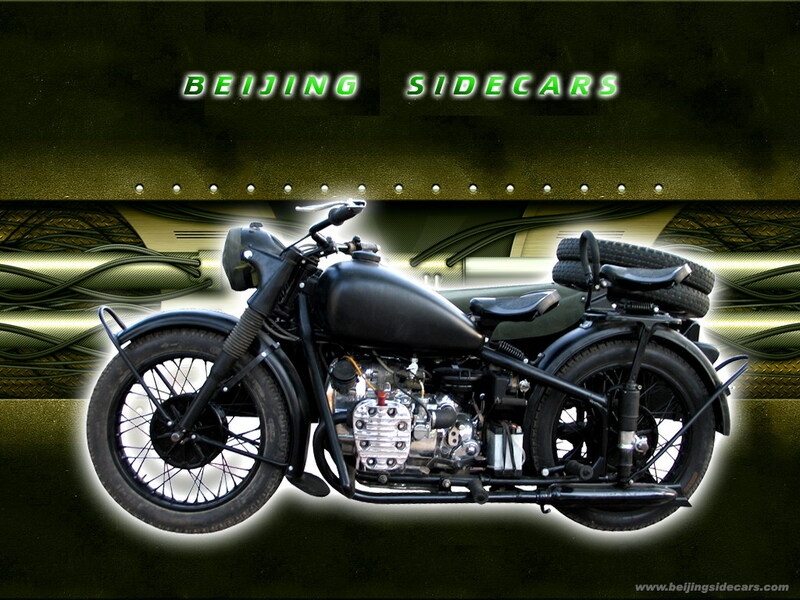 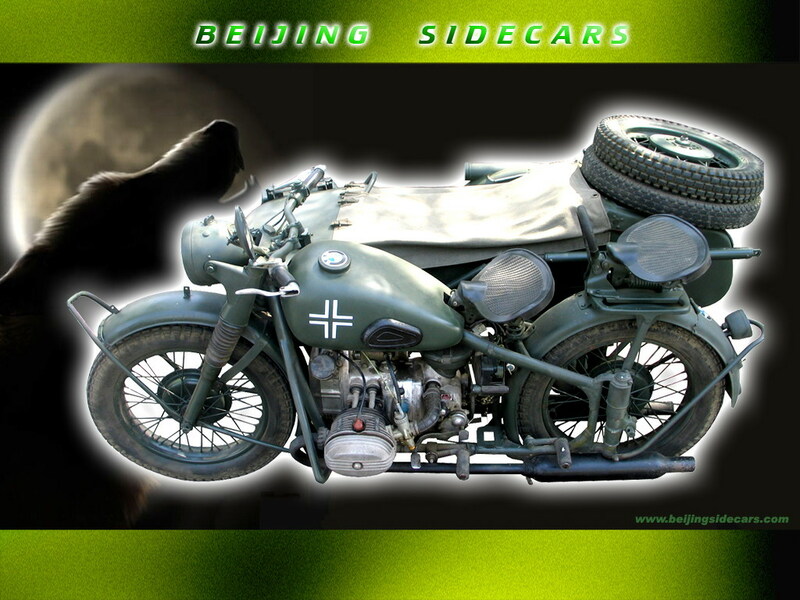 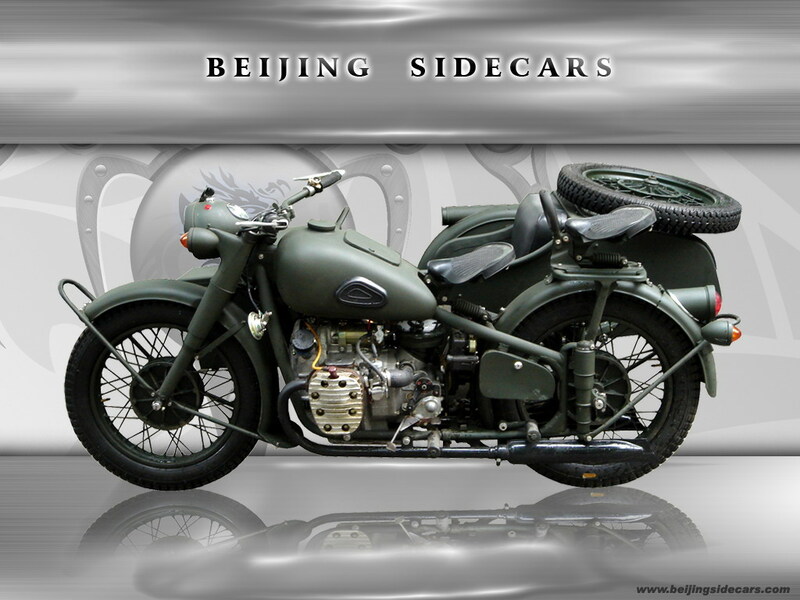 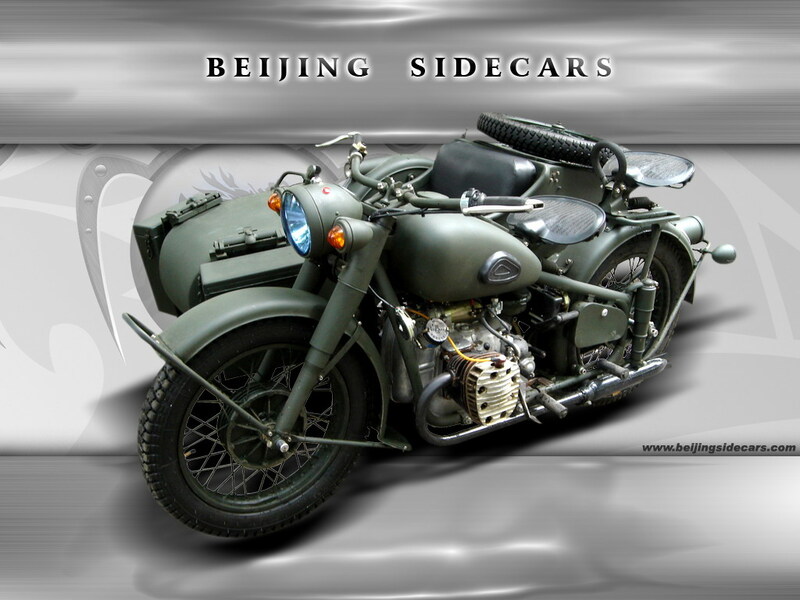 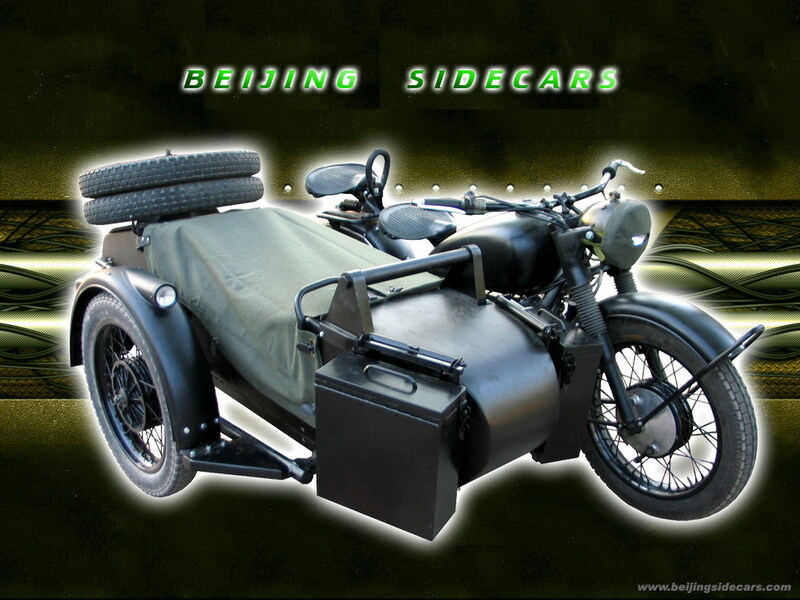 Most of the sidecar pictures on the net are very much similar and in truth there are only a few guys that actually hands on restore Chang Jiang 750 sidecars in Beijing. 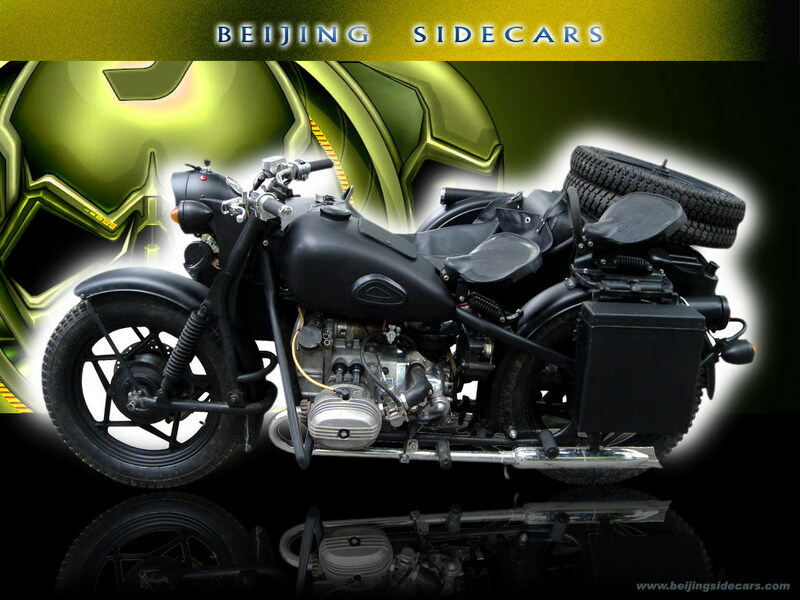 The rest are internet dealers that have others OEM for them or get their bikes from Nanchang. 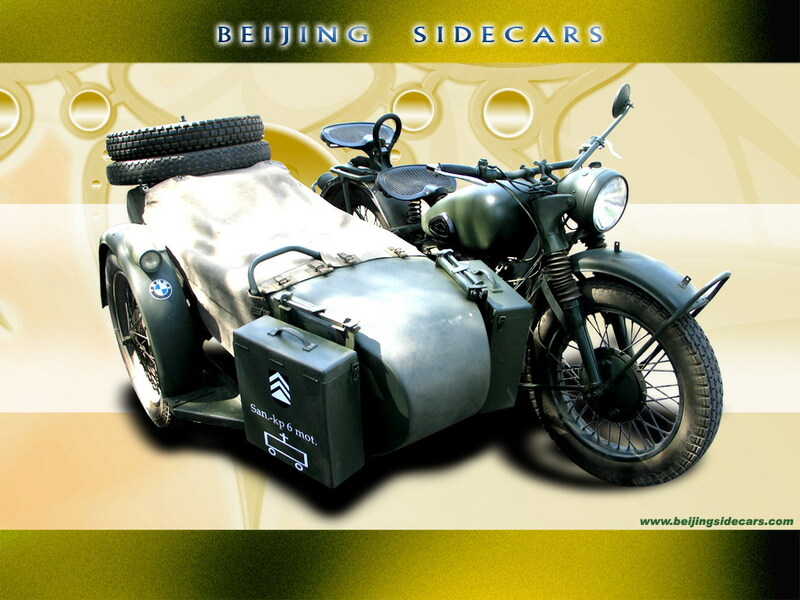 No funny stories or excuses with our sidecars - you get only the best. 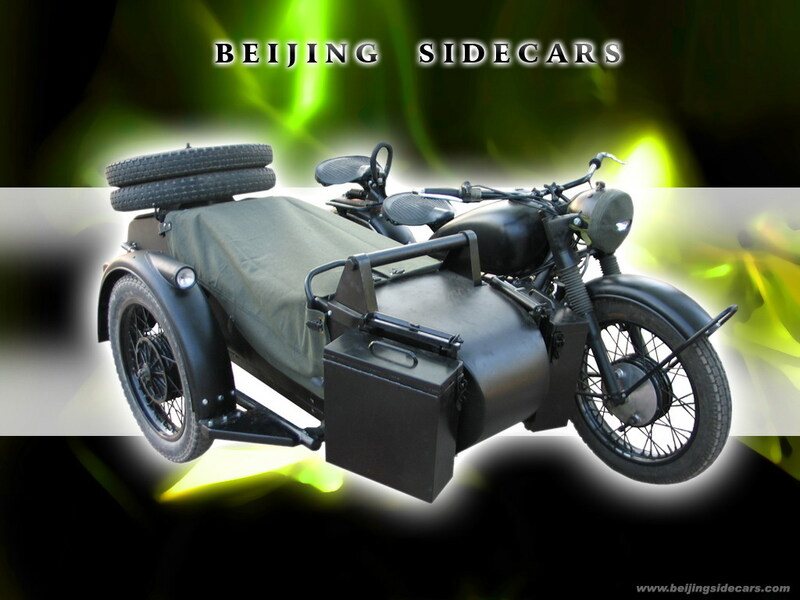 Contact me and you can get it direct.